To those of you who haven’t met me yet, I would like to welcome you to my chats. To those of you who have met me, hello my friends! It’s been a long time since I chatted to you. My mommy has taught me to talk back to humans as she teaches humans to talk to animals. I struggled at first to connect with humans, but now that I have “mastered the art”, I cannot stop myself. I am very happy at our new home. I can spend so much time in the garden because there is so much to see. All the new birds and the new songs I hear from them makes me want to spend all my time there. 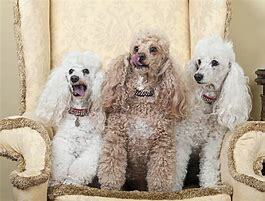 Those French Poodles, next door, are so talkative. We chat everyday across the hedge. They have a beautiful garden too. My sisters join me to chat to my new French friends. When they get excited, they speak a language I don’t understand, then I must stop them and remind them to speak in my language. I have has so much fun since I moved from Cape Town, but I miss my friends. I hope they are well and happy. My heart hurts when I see mommy communicating with animals every day because they went missing. I can’t imagine being lost and missing my family. I hope that they all find their families again. Did you know that Rescue Remedy is a magic potion for dogs who suffer from shock, panic or fear, hysteria and agitation? I overheard mommy tell someone to use this magic potion for a dog who needed help. I am so glad mommy could help him. Be sure to use this potion according to the prescribed instruction on the bottle or visit your uncle Vet for clear instructions. Keep safe all my friends, until we chat again. Bark! Bark! To all my animal and human friends! Compliments of the season to you and your family! I hope you had a wonderful holiday with your cousins, aunties, uncles, and friends. My mommy was so busy and barely had time to rest. Mommy decorated the lounge with a Christmas tree and all kinds of sparkling decorations. Our Christmas stockings were a big hit and Christie, my sister, guarded them until Christmas morning when mommy gave each one our own stocking. It was filled with all the nice goodies a doggy could ever want. Mommy says we got special nice treats because we were very good. By Christmas evening most of our treats were eaten. Mommy said we must save some for the next day, and then we can have an even longer Christmas. The goodies were very, very, nice, but I thought of all those doggies and kitties that had no mommy to treat them. Mommy was extremely busy helping other humans find their pets that went missing. The noise of the fire-works scared them so much, that some dogs and cats ran away from their homes. Mommy was able to find many dogs and cats and re-united them with their families. The humans were very happy to find their lost pets. Some very unfortunate dogs and cats were not re-united with their families, but mommy says that we must keep hoping and praying that they are safe and that they will find their families soon. Mommy says fire-works are not to be used around animals. It can cause deafness, animals can lose their eyesight, and nervous pets can become so anxious that they can never trust humans again. Those animals become street dwellers and then they can never be found again. Oh, how sad, my tears were streaming down my cheeks when mommy told me these stories. I would like to ask all the pet lovers to help the stray dogs and cats find their homes. They will be very grateful when you do help them. Please help our communities become safe for animals and help stop all fire-works being lit inside our communities. I ask that all the mommies and daddies get a collar for their pets with their name on it and also the telephone number so that other humans can find their home. There is also a wonderful gadget called a micro-chip, that can be placed under the skin of your pet. 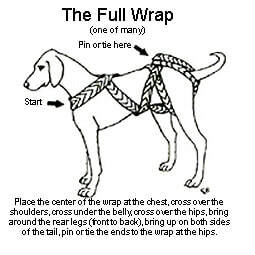 If the pet is then lost, any Veterinarian can check all the details of that animal and contact its parents. I had so much to say and mommy has so much to do, that I have to say, “Till next time”. 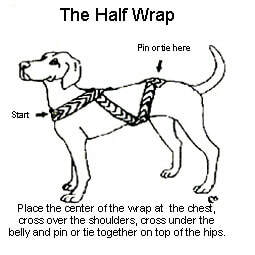 Oh, and if your dog is scared of thunder and lightning, use the “Body Wrapping” method to calm your loving furry angel. Bark, bark my dear friends! My urge to bark to you is overwhelming, and I must share with you how I feel. The first wonderful thing that happened was that we had our first bath in Pretoria. Oh, how refreshing it was to play and splash the water all over my mommy. My siblings and I are all clean and groomed. We look adorable, especially me, because I think that I am the cutest. The second joyous occasion was when Mommy announced that we are going to have a shared birthday party. I invited the poodles and we had soooooo much fun. Mommy made us chicken meat birthday cakes for each of us. We howled our birthday song to each one and barked and howled and played. We celebrated the whole day until the poodles were called home by their mommy. By that time, we were all exhausted from the exciting day. I’m still taking care of my sister as she is battling with IBS (irritable bowel syndrome). The doggy doctor gave Mommy medicine to give to her. She still has tummy cramps regularly, but we hope she will get well soon. What do you think Mommy and I must do to help her? 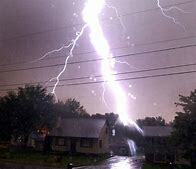 The other day we had thunder and lightning and poor Christie, that’s my sister, was very anxious. Mommy holds her in her arms and sings her a song that seems to calm her. She and I then know that we are safe with Mommy. I wonder if you know the song, “Ten green bottles”. I cannot sing like my mommy, but I bark in-between. The song goes like this: “Ten green bottles standing on a wall, and if one green bottle should accidentally fall, there’ll be nine green bottles standing on the wall. Nine green bottles standing on the wall, and if one green bottle should accidentally fall, there’ll be eight green bottles standing on the wall. Eight green bottles standing on the wall, and if one green bottle….” Until you get to zero green bottles. Then you start from the beginning again with ten red bottles. And then you start again with ten blue bottles, until the thunder and lightning stops. Christie falls asleep in Mommy’s arms because she is relaxed then. I’m not afraid when the clouds speak loudly to each other, but when the sky turns the lights so bright, my eyes hurt, then I get a little scared. Mommy says that we will get used to those loud clouds. They make me think of those big birds that scream so loudly when they fly in and out of our garden. My other sister runs to them to tell them to get off the lawn, then I roll on the ground laughing at this amusing scene. She can’t fly and she never even reaches them. Oh, she makes me laugh! And Mommy joins in the fun too. Shhhh, I must share with you, I had my first computer lesson, and Mommy says that I am learning fast. Soon I will be the only computer literate doggy. Fancy that! For now, I still sit in my playpen and write. Mommy’s calling me and I have to go now. Perhaps it’s my next computer lesson, wahoooooo! Bark to all the ladies and gentlemen, cats and dogs, birds and gaters! I bid you hello and welcome you to my barking session. I am now in Pretoria and settling down to make it my home. I have met those poodles Mommy told me about and I must say, shuuuuu, they don’t speak French. I thought that I would have to go to classes to learn to speak French. After two days they came to the fence and introduced themselves and I expected the worst, but they just said to my siblings and me “Hello, are you the new-comers?” I introduced my sisters to them and we had a wonderful chat between the shrubs. We have now become friends. We chat frequently to each other across the fence. My siblings and I had to make a few adjustments in our behaviour, as we had to learn where we should get out, read letters, and where we had to leave letters for others to read. We left enough letters introducing ourselves to whoever would venture there. My one sister is battling with settling down and I try to comfort her daily. She misses our old home where she lived for 10 years. Wow, that is a long time! Help me find ways that I can make her feel better again, please. We have gone for walks and enjoyed meeting the other animals in the neighbourhood and in the park. I am very happy to be here as long as my mommy and my siblings are with me. It doesn’t matter where in the world we go, as long as they are with me. Mommy unpacked the boxes and I have my toys that I can play with. I spend lots of time in the garden because I can watch all the birds in the trees. Mommy feeds them every morning while I lie on the grass and watch them fly from the bird feeders to the water bowls. I wonder whether Socks is still chasing the birds in her garden. I haven’t seen any cats come into our garden yet so that I can talk to them. 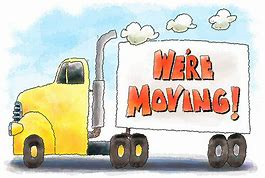 I am so glad the move is over because it is a long way to travel and we all got very tired. We had lots of fun though, when we stopped at the different towns. My siblings and I could read many letters other animals left. We just had to leave our letters there too. Every week I meet new friends when we go to the social park. All kinds of dogs are there. The big dogs scare me, but I show them that I am not afraid, so I stand tall and give them my deepest and loudest bark. When mommy told us that the clouds were just having a loud conversation, I became peaceful and calm. I knew that we were all safe, as long as we stayed indoors. Wow, that was an experience and I hope it won’t come again soon! I wonder if the other dogs and cats are all safe and happy in Cape Town? They must be missing us as we miss them. Mommy says as soon as we go to the parlour, we can meet regular new friends here too. I am so looking forward to meet them and tell them how we got here. They probably will enjoy my story, as I will give them lots of details. I can see them put their ears up waiting to hear my stories. I am so proud of my mommy for taking such good care of us. We must adapt to the weather and the new home, but with Mommy’s love, we will all be fine. I hope to see all my friends again when we come to visit, especially Socks. Stay warm and indoors and to all my Cape Town friends, thank you for keeping your water bowls clean so that your mommies don’t have to clean it so often during the day. You have played your part in saving water, now Cape Town has more water to share. Be good and bark again soon! Hallo my fellow furry, feathery, scaly friends! Oh yes, and humans! I am so glad to have my breath back so that I can share my adventures with you. As I last told you that we were moving from Cape Town to Pretoria. What a difficult time it was for my siblings and me. Boxes, boxes and more boxes throughout the house. I did make sure that my box went safely on the truck. Early the morning a huge truck arrived and the human workers packed each item into the truck. I sat next to my toy box, just to make sure that the strong man carried it to the truck. I told him to pack it carefully so that when I came to Pretoria, all my toys will be intact. Poor Mommy, she was exhausted, but I sat next to her just to make her understand that everything is going to be OK. The next morning came and it was time for us to drive to Pretoria. It was dark and I was still very tired from all the excitement of the previous day. Mommy packed blankets on the back seat of the car so that we could be warm and comfortable. Before we left, Mommy, my siblings and I said a thank-you prayer to the house spirits for blessing us all the years we stayed there. We asked the house spirits to bless the new family in the home. Mommy asked the Universe to protect us on the road and that the angels guard over us. Mommy drove for miles and miles, but stopped in-between to rest and fuel up. I slept of course, as I could not play in the car. That would only disturb Mommy while she is driving. Every time Mommy stopped, she would give us water and snacks, then she would let us read letters from other animals in the park close by. They were strange letters, some were sad, some happy and others spoke of animals moaning about some thing or another. I was so grateful to be with my mommy and no matter where in the world we went, my mommy was with me. I left a huge letter telling other dogs of my big move from Cape Town. I think whoever reads it, will be happy for me. 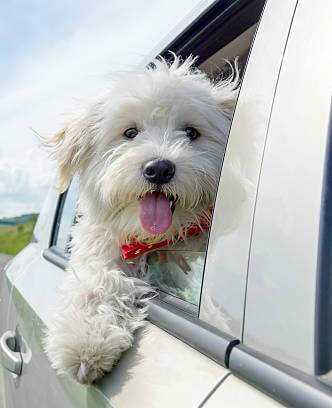 At times, Mommy would allow me to put my head out the window. It was great to feel the wind in my hair and I felt so free. We stopped at a guesthouse to sleep over for the night. This was a very nice place and the humans allowed all pets to stay there. Lots of preparation was made for my siblings and me to stay there. I enjoyed the fireplace, as it was very cold that night. The next morning we had breakfast and I left more letters on the lawn for other dogs that would stay there. I definitely left my mark, as I was very impressed with the lodge, so that other dogs can feel at home there too. Mommy placed us in the car and we drove further to Pretoria. I curled up in my blanket and went to sleep until the sun shone through the windows. It made me feel nice and warm. I would continue to tell you the story but Mommy is calling me to help unpack boxes so I will bark to you soon. Missed out on What Molly Says? My name is Molly and I talk a lot. So my mommy said I can talk to you because her ears are sore from all my talking. I recently went to my first workshop with my mother where she taught other humans to do Animal Crystal Healing. My mom said I was a live subject and an honorary guest. I don’t know what that means but it sounds awfully important. When it came to the practical sessions, I realised that I was going to get a Healing and I got very excited. At first, I wasn’t sure about the crystals until I felt how it made me feel at ease. Those Crystals are so calming and I relaxed so much after the humans put the Crystals with me. For the rest of the day I was so calm and relaxed and dreamt about all the other doggies and cats that would like to feel how I felt. Woggies and kitties, I was in seventh heaven, or maybe even higher. It is the most awesomest feeling.